One of the latest marketing trends is to use terms like ‘bespoke’, ‘fine’, ‘luxury’ to define your product, regardless if it fits the product or not… all in hopes to uplift the brand image. The word ‘bespoke’ literally means ‘made to order’ and that is what my this post is all about. 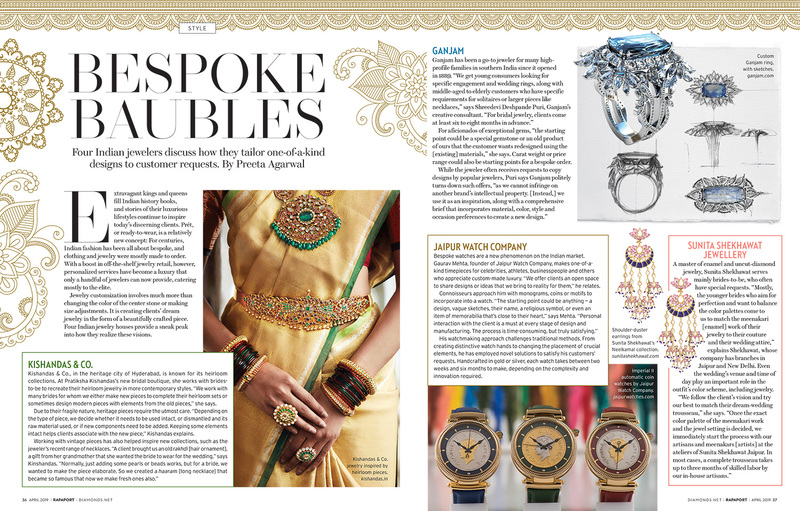 My latest story ‘Bespoke Baubles‘, written for the April 2019 issue of Rapaport magazine, takes you across India for a conversation with jewellers and designers who genuinely offer this service to their clients, sharing the challenges that they face everyday. Enjoy! Four Indian jewelers discuss how they tailor one-of-a-kind designs to customer requests. Extravagant kings and queens fill Indian history books, and stories of their luxurious lifestyles continue to inspire today’s discerning clients. Prét, or ready-to-wear, is a relatively new concept: For centuries, Indian fashion has been all about bespoke, and clothing and jewelry were mostly made to order. 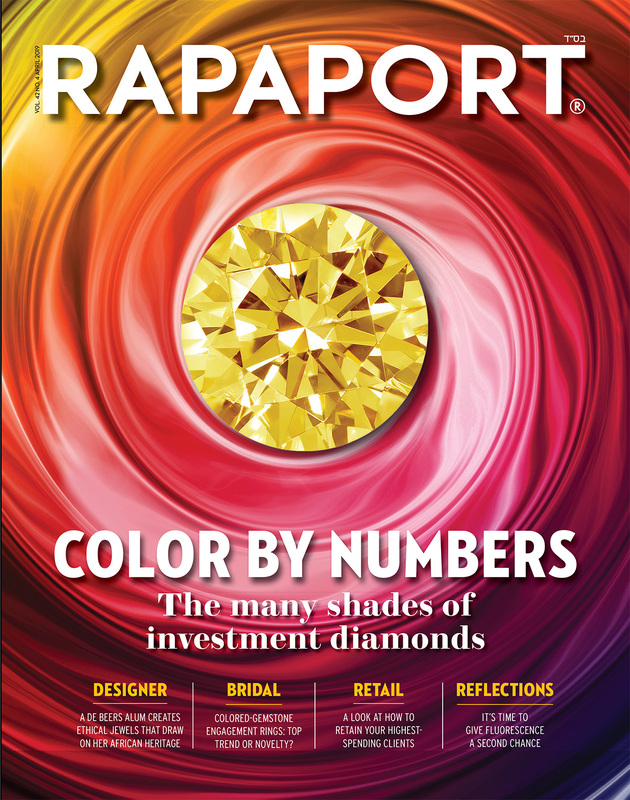 With a boost in off-the-shelf jewelry retail, however, personalized services have become a luxury that only a handful of jewelers can now provide, catering mostly to the elite. Jewelry customization involves much more than changing the color of the center stone or making size adjustments. It is creating clients’ dream jewelry in the form of a beautifully crafted piece. Four Indian jewelry houses provide a sneak peak into how they realize these visions. 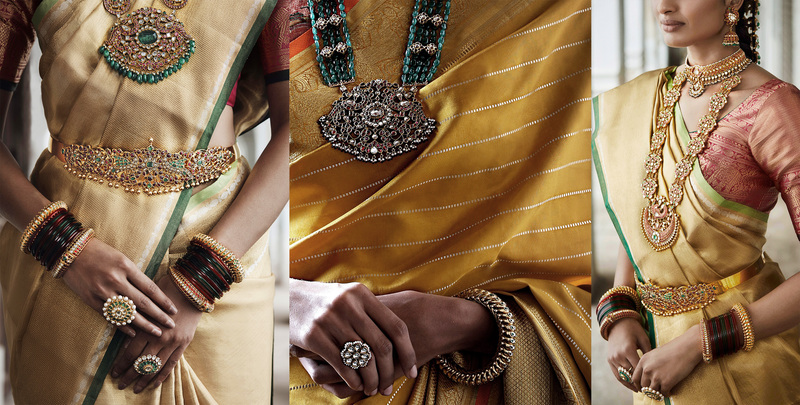 Kishandas & Co., in the heritage city of Hyderabad, is known for its heirloom collections. At Pratiksha Kishandas’s new bridal boutique, she works with brides-to-be to recreate their heirloom jewelry in more contemporary styles. “We work with many brides for whom we either make new pieces to complete their heirloom sets or sometimes design modern pieces with elements from the old pieces,” she says. Due to their fragile nature, heritage pieces require the utmost care. “Depending on the type of piece, we decide whether it needs to be used intact, or dismantled and its raw material used, or if new components need to be added. Keeping some elements intact helps clients associate with the new piece,” Kishandas explains. For aficionados of exceptional gems, “the starting point could be a special gemstone or an old product of ours that the customer wants redesigned using the [existing] materials,” she says. Carat weight or price range could also be starting points for a bespoke order. Bespoke watches are a new phenomenon on the Indian market. Gaurav Mehta, founder of Jaipur Watch Company, makes one-of-a- kind timepieces for celebrities, athletes, business people and others who appreciate custom-made luxury. “We offer clients an open space to share designs or ideas that we bring to reality for them,” he relates. His watchmaking approach challenges traditional methods. From creating distinctive watch hands to changing the placement of crucial elements, he has employed novel solutions to satisfy his customers’ requests. Handcrafted in gold or silver, each watch takes between two weeks and six months to make, depending on the complexity and innovation required. A master of enamel and uncut-diamond jewelry, Sunita Shekhawat serves mainly brides-to-be, who often have special requests. “Mostly, the younger brides who aim for perfection and want to balance the color palettes come to us to match the meenakari [enamel] work of their jewelry to their couture and their wedding attire,” explains Shekhawat, whose company has branches in Jaipur and New Delhi.